Well it looks like summer is over here in Yorkshire but that is ok. I have been doing some research on patchwork ornaments as I need a new design for this year’s friends and family gifts and came across this very useful web site last night with links to all sorts of lovely stuff – the site is called Pinwheel Ponder . 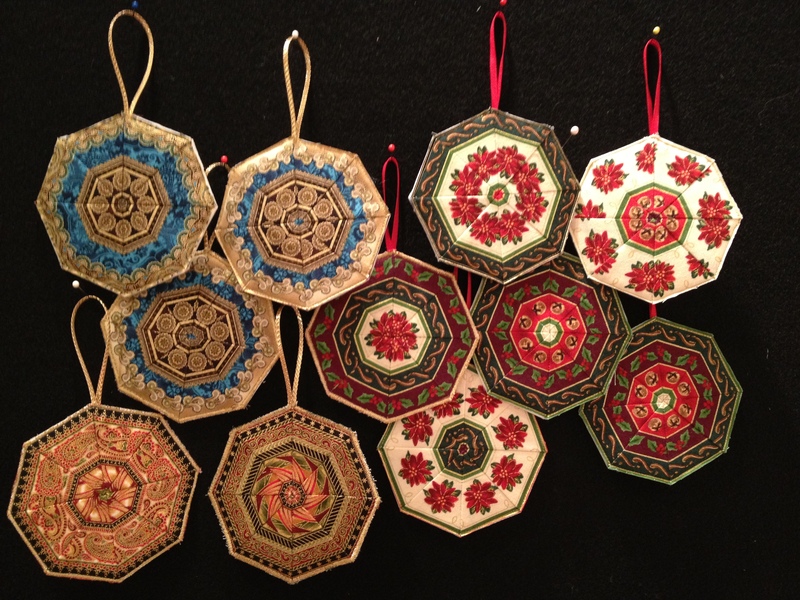 She also has a Pinterest Page with some other gorgeous stuff on – look at these lovely fussy cut kaleidoscope ornaments from the Quilt Art Mountain Vistas blog of Lynn Crosswell. I also wanted to show you my latest creation, I am temporarily moving away from knitted animals to make some more Xmas stockings but this is one that I have just made for a friend from re-enactment. I have called him Hannibal after the famous story of Hannibal and his elephants as their route took them just past where my Mum lives in Spain! 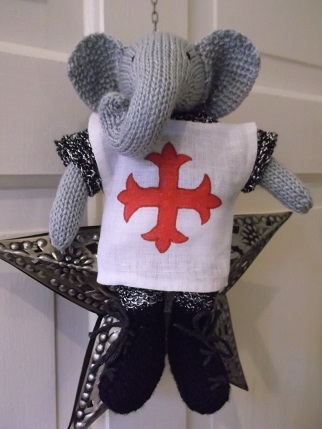 I knitted a jumper out of wool that is meant to look like maille and gave him maille legs as well and made a little linen surcoat with my friend’s heraldry on. I also did some laces on his boots. 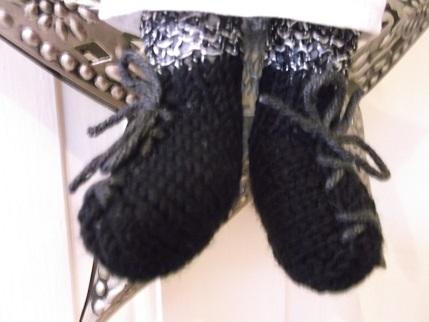 It was the first jumper and boy’s feet I have knitted and as always Julie’s pattern was very easy to follow. Hope that you have a lovely weekend and week ahead and thanks for visiting. He’s charming. The maille effect works really well, doesn’t it!